Tea towel in creamy beige. 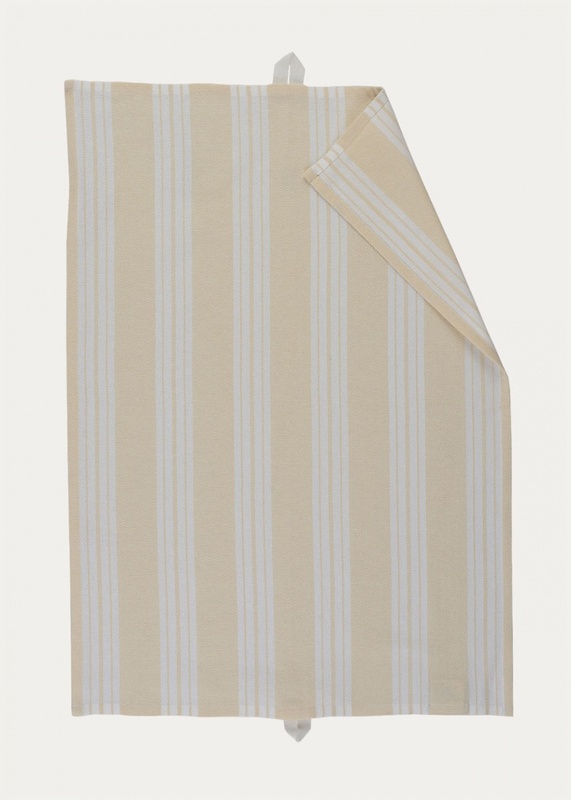 Irene tea towel is a classic striped tea towel which combines broad and thin stripes. Size:50X70 cm.